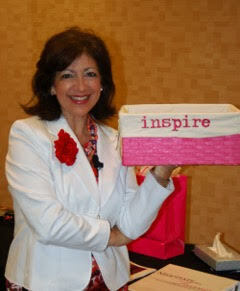 SPEAKING | Be the Difference Brigade | Share Your Gifts, Earn More Money, and Make a Meaningful Difference in the World! 7 Steps for Leaders for Greater Income, Impact, and Fun! Engaging Presentations that Inspire Audiences to Take Action and Be the Difference! Corine Wofford delivers high-energy interactive keynotes and presentations that inspire Corporate Professionals, Business Leaders, and Women Entrepreneurs worldwide to Be Bold, Breakthrough, and Be the Difference. Corine’s company, Corine Wofford International, helps clients and audiences transform their relationship with clients, colleagues, and their community so they can successfully share their gifts, make more money, and create a meaningful difference in the world. My passion and expertise is maximizing human potential and communicating an inspirational and educational message to encourage others to move confidently toward the highest vision of their success. 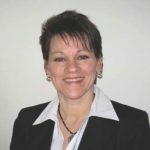 Corine Wofford has over 25 years of business training and promotional solutions marketing experience with world-class organizations. 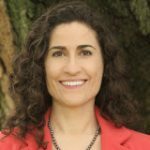 She is a professional and transformational speaker, and her most requested topics are Be the Difference Leadership and Negotiation. 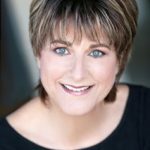 She also enjoys sharing her expertise in Money Mindset and Marketing Mastery, and High Performance Strategies in Sales, Service, and Teams for national and international audiences. 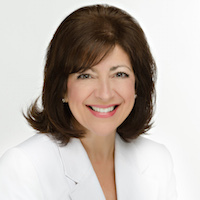 As a dynamic Certified Master Facilitator, Corine has worked with over 100,000 Fortune 500 Professionals and Entrepreneurial Leaders, giving signature talks, facilitating skills- based trainings, and providing executive coaching to companies such as Apple, Sony, IBM, Exxon, and USAA. Corine’s talks are perfect for Fortune 500 and Fortune 100 companies, Professional Associations, Professional Conferences, Professional Networking Groups, Small Business and Entrepreneur Groups, Coaching Organizations, and Professional Development Women’s Conferences worldwide. All presentations can be tailored for your organization’s needs and expanded into half- day workshops, full-day retreats, and longer training engagements as needed. 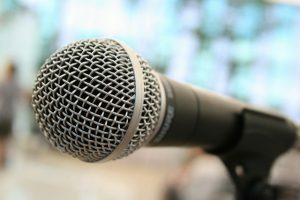 Corine is available for speaking engagements as well as interviews for media and print, which can be conducted in-person or virtually by phone, email, or video. 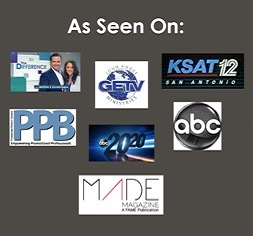 To book Corine, contact us at (210) 402-0053, or email Connect@CorineWofford.com with SPEAKING ENGAGEMENT REQUEST in the reference line. Thank you. The Power of Patience, Purpose and Prosperity: Essential Principles to Help you Thrive in Business and Life! Corine’s negotiating skills are amazing. When I thought the deal was over – I watched her patiently weave benefits in and out of the discussion and the customer’s eyes would suddenly light up and we had commitment to make the program happen! Most powerful session of the (NAWBO National Association of Women Business Owners) Conference! Thank you for helping me be a better advocate for myself and my clients! Beverly E. SmithSr. PartnerThe H.R. Group, Inc.
Corine’s session on Quality Service Skills was a breath of fresh air! I learned new techniques on how to deliver unwelcome information and still keep our customer’s happy. Great job – I enjoyed the training! I’ve been at USAA for 18 years and Corine Wofford is the best facilitator we’ve ever had! She’s smart, engaging, and results oriented – all while making advanced concepts easy to understand and enjoyable to learn. 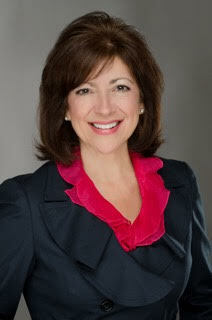 I highly recommend her as an Instructor and Executive Coach. Corine made the difference all right, a $10,000 difference! Corine encouraged me to go for it, and with her expertise and support, I asked for and received $10,000 for the speaking engagement! What I remember most about is being championed to know I’m worth it, and knowing that I can receive abundantly. This class has been so much help personally and professionally. When the EXXON Valdez catastrophe hit it impacted all of us at home and with our clients. I plan on using the Interpersonal Managing Skills to help me manage differences at work and in the community and credit my employees more. Thank you! Corine’s insight helped me word a refund policy that protected me and my promoters! You don’t know how much you don’t know, until you need to know! Now I am happy to have Corine as part of my Charisma on Camera team. She is the go-to for me when it comes to contracts. Corine Wofford, working with a bunch of old guys that would rather be hunting and fishing, was able to teach this old dog some new tricks about selling. I don’t know how she did it but I wanted to thank you for sending Corine Wofford to work with us at Stuart & Stevenson – she’s the best teacher I’ve ever had. It was a pleasure meeting you at the NAWBO National Conference. Your energy and enthusiasm were incredible! Your Negotiation program was the most impactful of the conference and I hope we’ll have the opportunity to partner in the future! Cynthia WrasmanVistage Chair / Past PresidentMJC Solutions, Inc.
Corine Wofford’s session on Quality Service Skills was a breath of fresh air! Our team learned new techniques on how to deliver unwelcome information and still keep our customer’s happy. Great job – We really enjoyed the training! Corine Wofford did an outstanding job with Professional Selling Skills seminar for our agent marketing group. They can be a tough crowd and many of them commented to me about the quality of the training and specifically to the value that Corine added during the feedback portion of the role play sessions. Please pass along our thanks. The Interpersonal Managing Skills seminar Corine Wofford conducted for us was hit! She understood our business issues and helped our folks apply the skills to our environment. Thanks to Corine’s guidance, I just signed a lucrative contract with the Ambassador of Paraguay! The time I spent with Corine Wofford on negotiation was nothing short of life changing! Her expertise helped me with the clarity and confidence I needed to negotiate with all of my international clients.